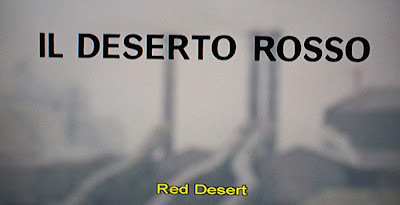 Red Desrt is hard to find...I purchased it for $90 off amazon. 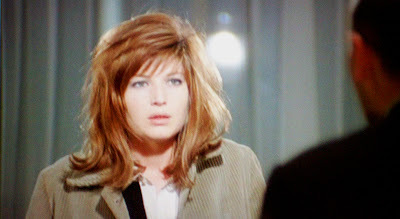 Another one of Antonioni's grim modernist meditations on the neurotic alienation and anxiety caused by our rapid movement into the cold steel jungle of industrial society, Red Desert is held together mostly by the strength and beauty of Monica Vitti's understated performance. 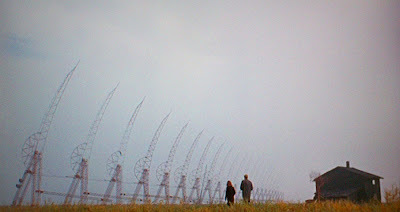 We follow her through various degrees of sanity until we arrive at a characteristic non-narrative non-ending in which we realize that the minimalist plot that meandered across this bleak existential stage was largely secondary to the vivid painting of a distressing psychological landscape. Cold, shattered, frustrating, and violently oppressive, the message is that we are rats in a maze of our own creation. Life in this absurdist theatre has no inherent purpose, and we are merely automatons shuffling from one diversion to the next, but ultimately there will be a need to either embrace this absurdity or deny it. 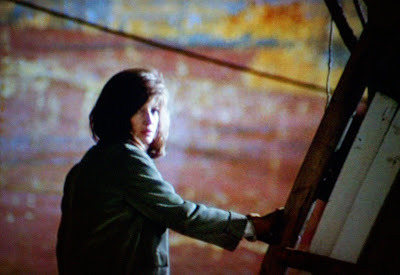 As usual, Antonioni offers no answers or guide posts, but instead raises questions that are largely only resolved by the individual in the moment to moment, day to day negotiation of the endless challenges of contemporary urban life. Perhaps it is largely the time and effort invested in overcoming these many stresses and complications that distracts us from the larger void that lurks nearby. And this could in essence be the only solution to the Sisyphian dilemna famously articulated by Camus. Stay busy or go insane. And what about that amazing story-within-the story when she reads a children's storybook to her small (and kind of neuro as well) son and the whole movie just launches into this Mediterranean idyll! It goes on for a while - like 5 minutes - a lot of screen time. 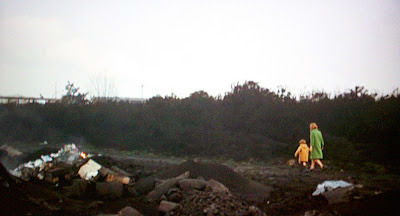 That was his first color film and it caused a stirr because of the way he would go around painting whole slabs of his location and props - in Red Desert - notably the barrow laden with fruit that Monica walks past at one point - was completely painted gray! - it doesn't figure at all as a plot point, it's just there as a kind of mood item to show Monica's losing it. 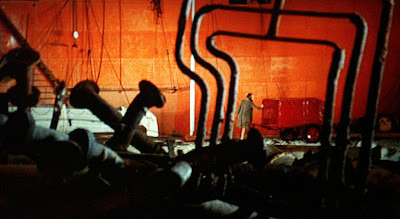 Later on, doing Blow-Up he painted a whole line of shops bright red, (in Stockwell, Sth London) just for a scene where the photographer drives past in his Rolls Royce - again being slightly out of it. GOD I LOVED THAT GUY!!!!!!!!!!!!!!!!!!!!!!!!!!!!!!!!!!!!!!!!!!!!!!!!!!!!!!!!!!!!!!!!!!!!!!!!!!!!!!!!!!!!!!!!!!!!!!!!!!!!!!!!!!!!!!!!!!!!!!!!!!!!!!!!!!!!!!!!!!!!!!!!!!!!!!!!!!!!!!!!!!!!!!!!!!!!!!!! 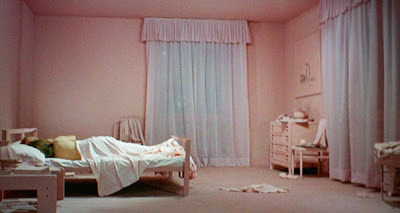 did you notice that he died the same day as Ingmar Bergman ?